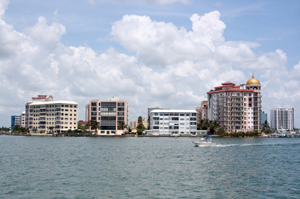 Nestled between the waters of Tampa Bay to the north and the Gulf of Mexico to the west, the Bradenton, Sarasota, and Venice area has become an oasis for tourism, businesses, retirees, and families. It’s no wonder, since this area is surrounded by pristine rivers, theaters, shops, restaurants, and many booming businesses. Whether you’re a resident of the Bradenton, Sarasota, or Venice area—or you own a business there—Reliance Consulting, LLC is a Tampa CPA and accounting firm that can help you plan out and achieve your financial goals. Due to our staff’s decades of experience and our commitment to an individualized approach, we are exceptionally qualified to offer our clients a range of solutions for the many economic issues they face very day. Remember, financial success is a result of superior planning for each dollar that comes into your wallet—and leaves it, too. Thankfully, your CPA and accountant at Reliance Consulting is here to tell you about strategies you can use to be financially successful in Bradenton, Sarasota, Venice, or anywhere else in the Tampa, Florida area. To inquire about our services and to receive a free financial check up by the Tampa accountants at Reliance Consulting, please contact us today.